When a couple decides to divorce, they need to prepare to divide their property and assets. When it comes to dividing property, such as vehicles or a home, it may be as simple as distributing the property equally or selling a home and dividing the proceeds. For those who own a business together, this process can become much more complicated. An experienced divorce attorney can help navigate clients through the complexities of the divorce process while protecting clients' best interests. If you are facing divorce and division of business interests and live in or around Stockton, CA or Sacramento, CA, we encourage you to contact the experienced divorce attorneys of Shore, McKinley & Conger. How Are Business Interests Divided in a Divorce? Distributing business interests in a divorce is not a “one size fits all” process. Because each business and relationship is unique, dividing business interests must be done in a manner that works best for each spouse. The best option will depend on the unique needs of each divorcing couple. While there are a variety of ways in which business interests can be divided in a divorce, the following are the three most common methods used. One option for dividing business interests of divorcing couples is to leave the business intact and not distribute it at all. In this situation, the business would continue to be jointly owned, meaning both parties would be co-owners after divorce. Although co-ownership is an option that works for some couples, it's not the best option for most. Typically, co-ownership is best for divorcing couples that have maintained an amicable, working relationship. It is possible for a co-ownership to exist in which only one spouse actually runs the business. In such cases, the spouse running the business will be responsible for providing a portion of the business's proceeds to the other spouse as part of the marital assets. One of the most common ways business interests are divided in a divorce is through a buy out. A buy out is when one spouse completely takes over the business by buying the other spouse's interest in the business. For example, if a business is valued at $200,000, the spouse intending to take over the business would need to pay the other spouse half of the value of the business, or $100,000 in this scenario. When negotiating a buy out, the spouse receiving payment may ask for a lump sum or may agree to receive a number of payments over time, known as a structured buy out. In some cases, neither spouse will want to co-own a business or go through a buy out. In such instances, selling the business may be the best solution. When a business is sold, the proceeds are divided and each spouse will receive compensation for his or her interest in the business. Selling a business during a divorce can present issues if spouses cannot come to an agreement on the value of the business, or if one of the spouses is opposed to selling. Another possible issue is fluctuations in the market that can affect the value of a business. Spouses who are looking to receive the most compensation for their business may find it worthwhile to co-own until the market better favors the business. 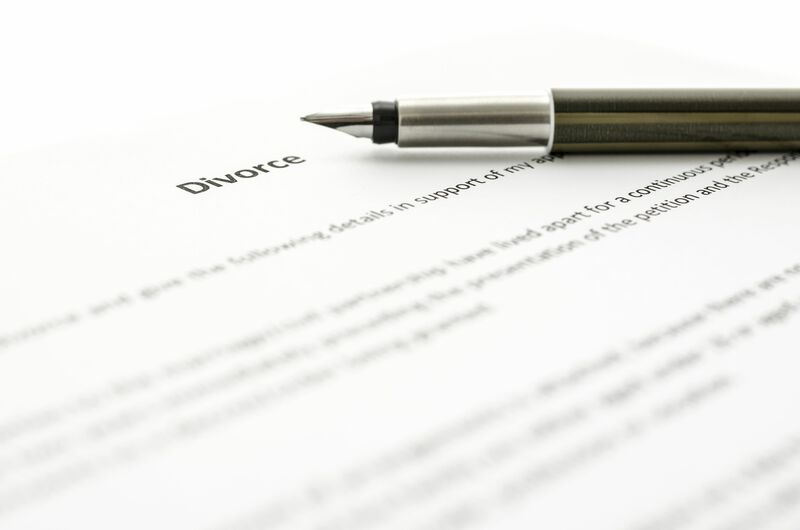 For more information about divorce and the division of business interests, we welcome you to schedule a consultation with one of our knowledgeable divorce attorneys.